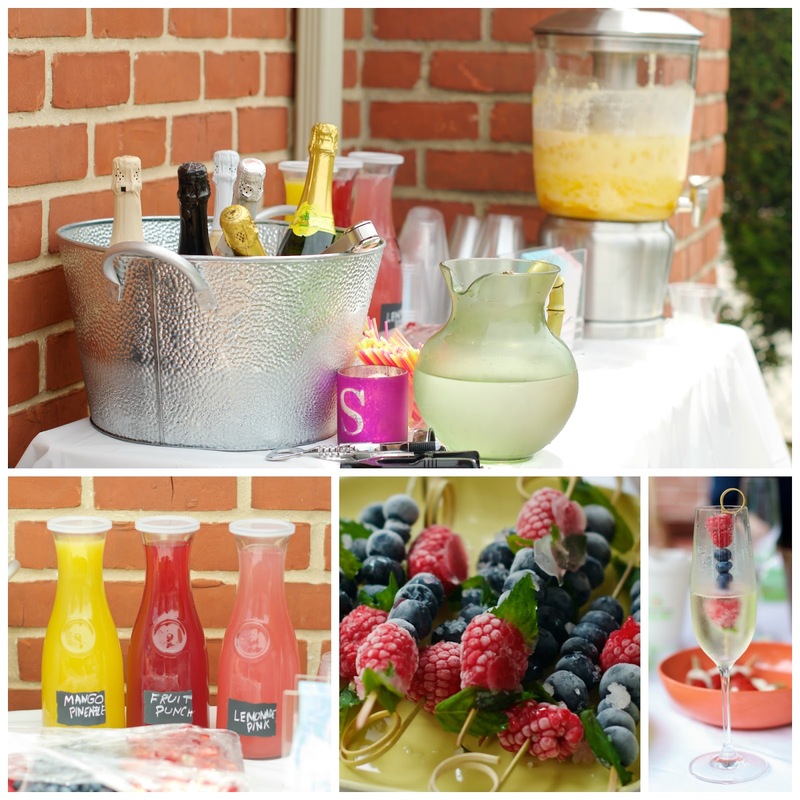 We had a AMAZING time at our friend Shanti’s bridal shower last week. We wanted to share a few of our favorite things from the party: mimosa bar, cupcake wedding dress and a twist on the traditional wedding dress game. 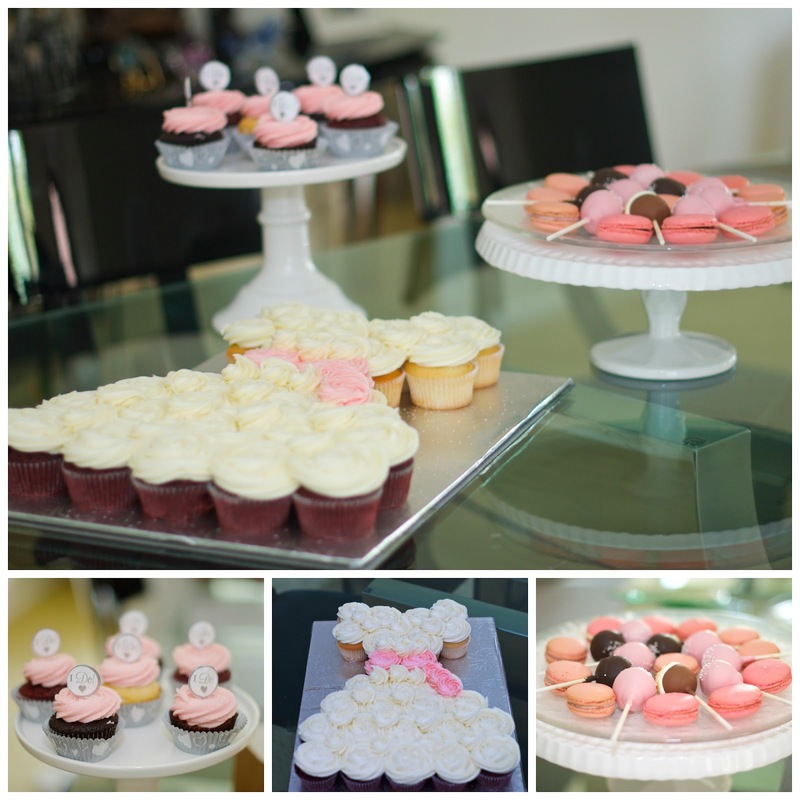 The dessert table featured YUMMY cupcakes, cake pops and macarons. The star of the table was the cupcake wedding dress. This is incredibly easy for any bakery to put together. 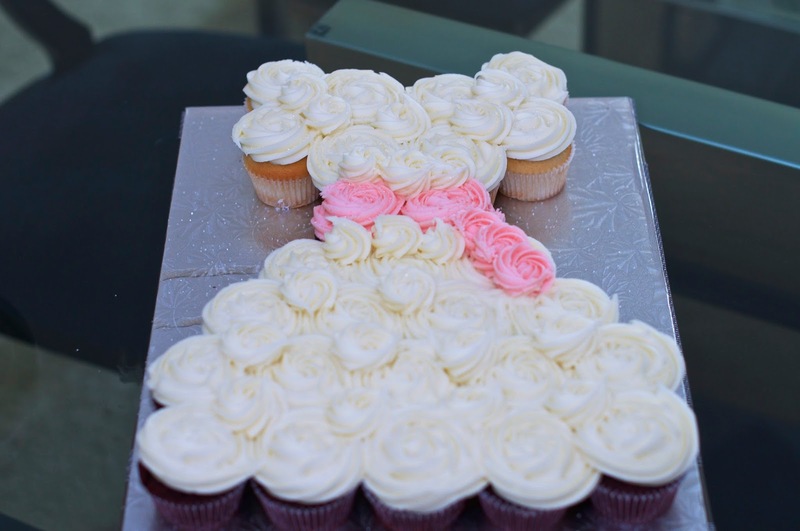 It’s also fairly easy to bake regular or mini-cupcakes and shape them into a wedding dress. Use a Wilton 1M tip to pipe white and pink frosting on the cupcakes. Then arrange the treats into the shape of a wedding dress. You can find Archana’s wedding dress cupcakes here. You’ve probably all played the traditional toilet paper wedding dress game. 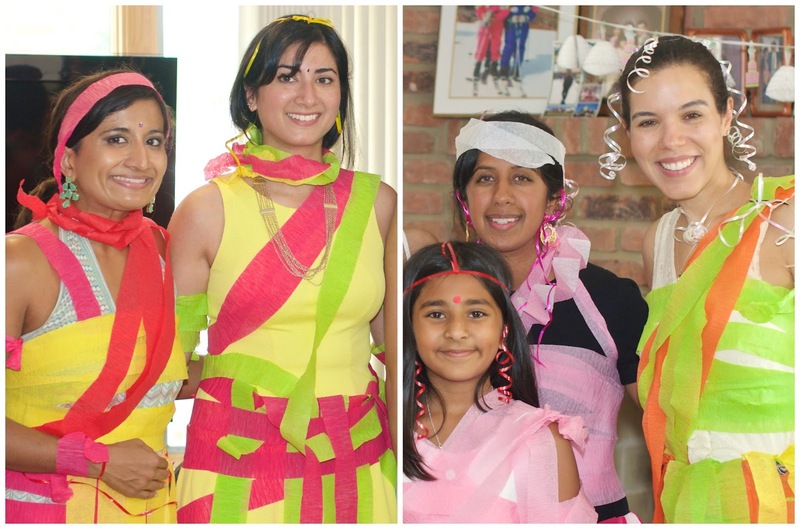 At Shanti’s shower, the game took an Indian twist! We were divided into groups and tasked with making a wedding sari, lehenga or salwar kameez. To play this game we used paper streamers and ribbon in a variety of bright colors. The winner was Shanti’s niece- she looked adorable in her pink Indian Sari and red ribbon jewelry. We had a wonderful time at the shower. We can’t wait for the wedding in a few weeks! Next Post Uptown Funk You Up!